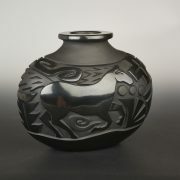 This new clay jar by Les is fabulous. 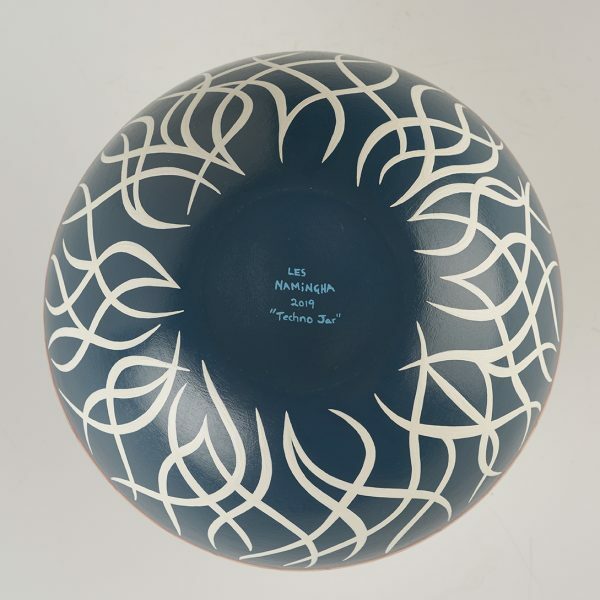 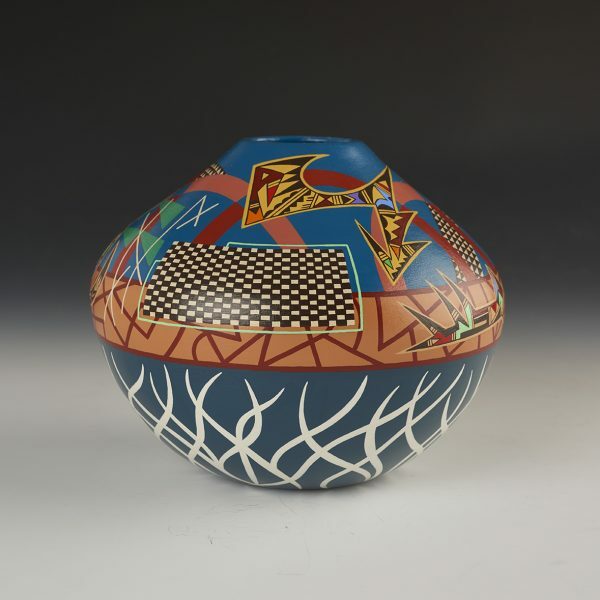 Called “Techno Jar”, it is an abstract hand coiled piece that is based on musical rhythm, beats, movements, and pulses using Pueblo pottery elements. 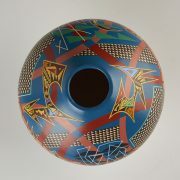 The checkerboard references the repetition of patterns in music. He has painted with both earth tones and bold colorings. 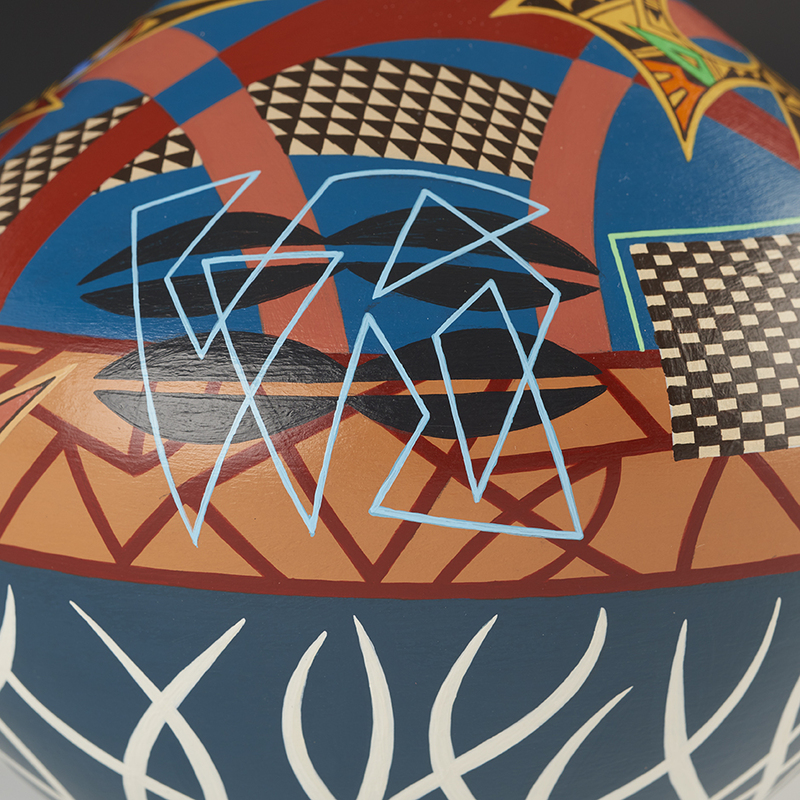 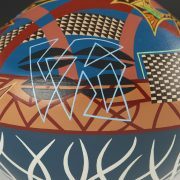 The combination of traditional Pueblo symbols, with the modernistic musical theme is so visually appealing. 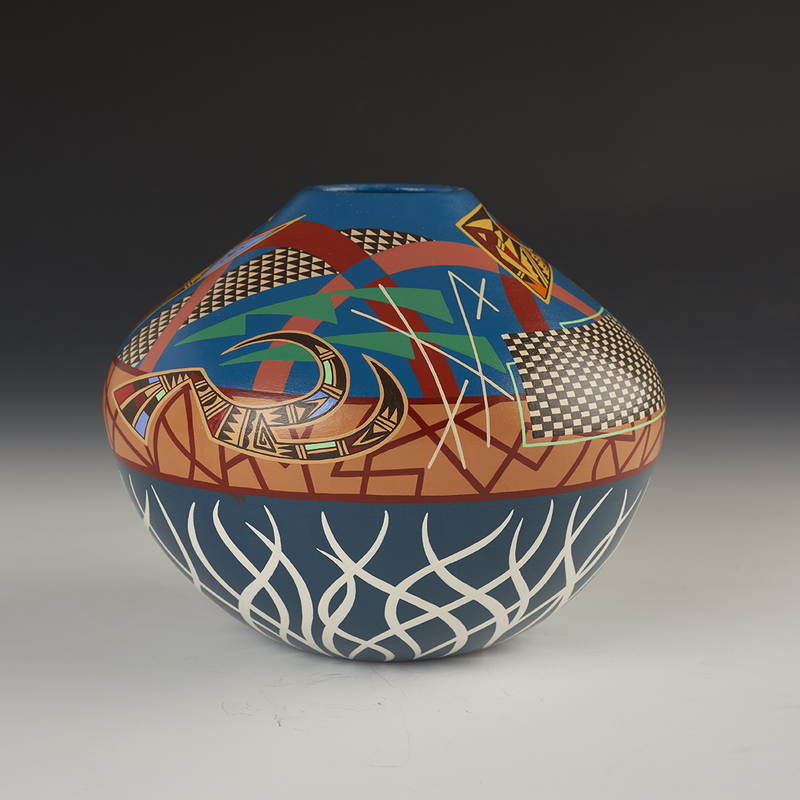 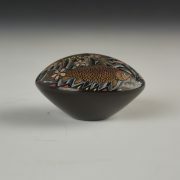 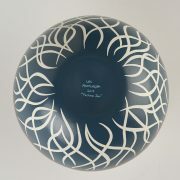 It is such a pleasure to represent Les – such a talented potter AND painter. Les Namingha is the son of Emerson Namingha, the grandson of Rachel Nampeyo, great-grandson of Annie Healing, and a great-great grandson of Nampeyo of Hano. 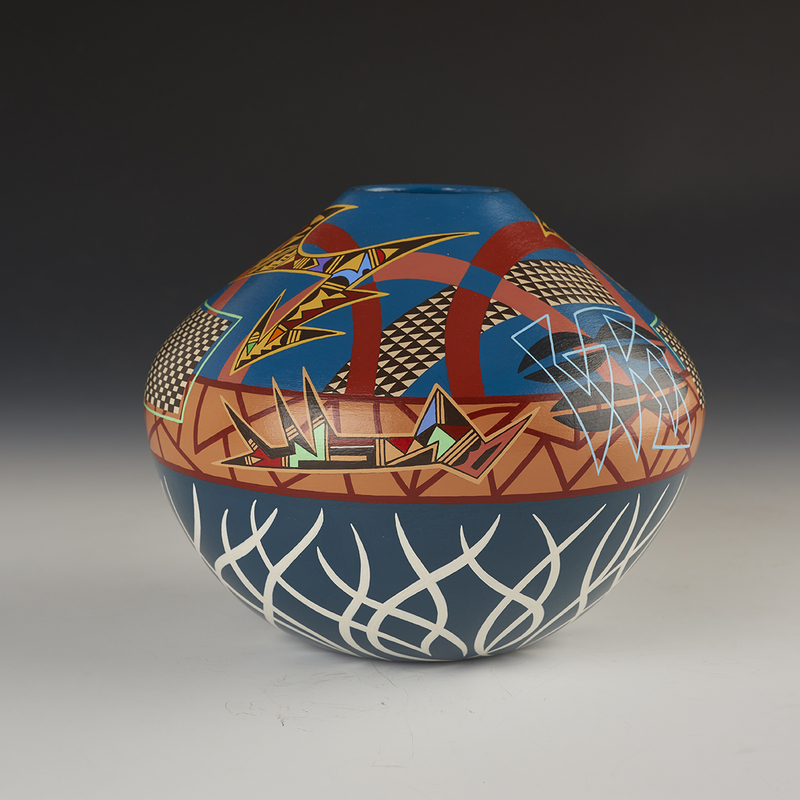 Les learned to make pottery from his aunt, Dextra Quotskuyva, a master potter from Hopi. 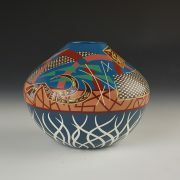 He is tremendously skilled at combining old and new designs in his work. 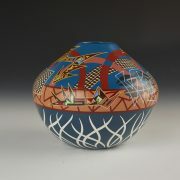 He is such a remarkable potter and painter. 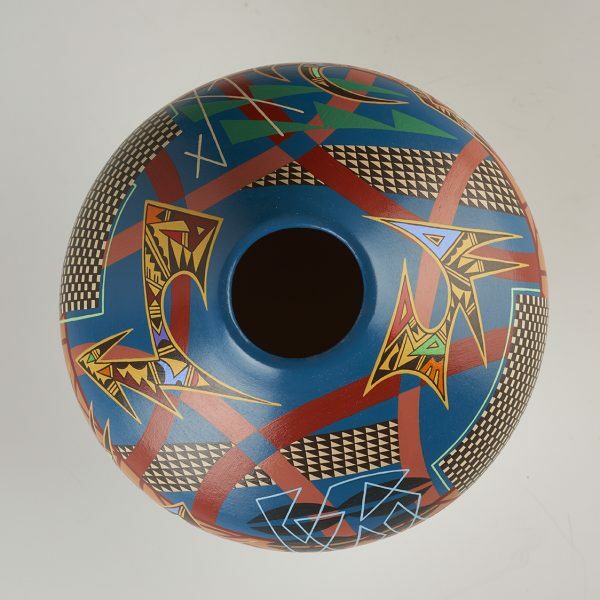 Les is multi -faceted as an artist. 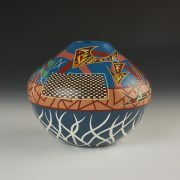 Not only does he coil his work in the traditional style, but he is so creative in his design work.